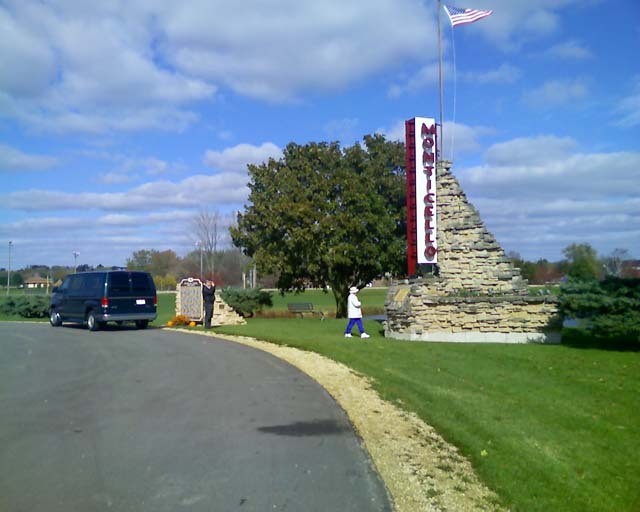 Located Highway 39/69 rest stop just south of Lake Ave Monticello, WI Coordinates Lat N 42:44':38.89" Lon W 89:35':57.00"
system and operated six such factories in the area. His success was attributed to his knowledge of cheese making combined with his expertise of cheese marketing. After 130 years. Green County's Limburger cheese factory remains the last operating In the United States. 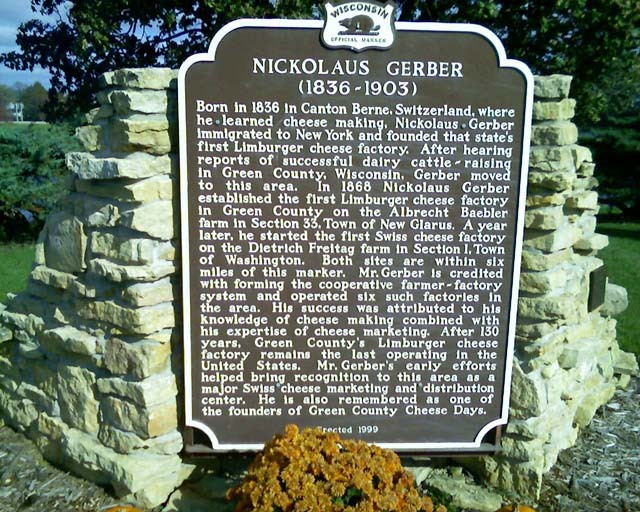 Mr. Gerber’s early efforts helped bring recognition to this area as a major Swiss cheese marketing and distribution center. He is also remembered as one of the founders of Green County Cheese Days.